Dungeon Dweller Ani-motion mask includes one adult sized latex monster mask with Ani-motion action to open and close mouth. This fabulous ghoulish Dungeon Dweller Ani-motion mask features a realistic Frankenstein's monster inspired mask with the very clever motion so the mask open's it's mouth when you do! 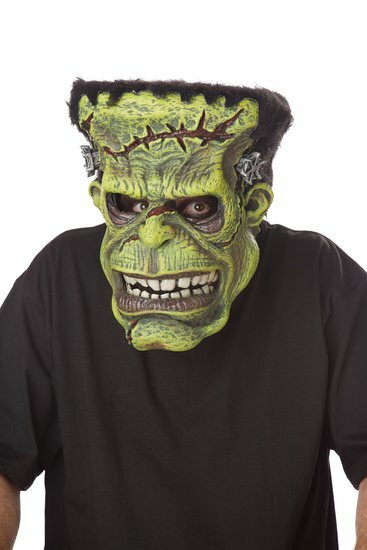 Complete with scar tissue and bolts in the forehead, this green monster mask is sure to scare the punters this Halloween and add some spark to your trick or treating!